While Xbox 360 and PlayStation 3 owners will be getting two brand new Resident Evil 5 episodes and a ton of costumes to play with next February and March, PC owners of the same title might have to wait. Or worse yet, they might not get it at all. 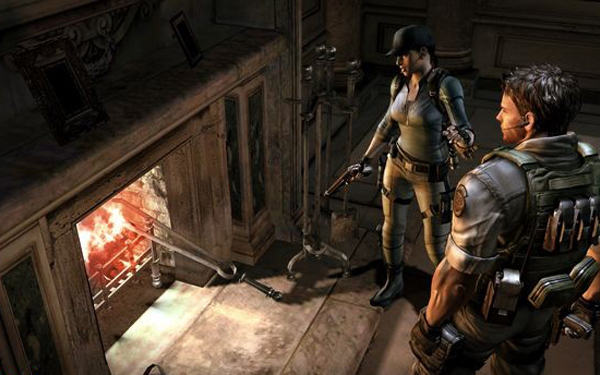 According to a Capcom spokesperson that talked with G4TV, there are "no plans for PC at this point." Sad news, but hopefully news that changes. I have to admit, after getting my hands on the PC version for last week's co-op night, I was thoroughly impressed with it. Not only was it the best looking version, it was the best controlling version thanks to mouse support for easier analog aiming. What I really liked was the ability to switch between the mouse and keyboard and controller seamlessly, allowing me to choose the right controller for the situation. So bravo Capcom for this. Hopefully the "No plans for PC" quote is more PR speak, and something will be announced eventually. Page created in 0.4001 seconds.